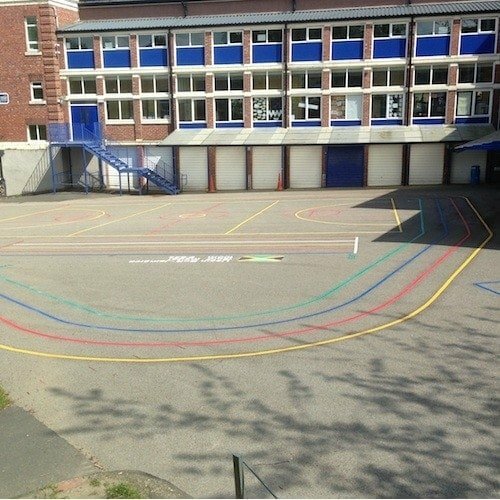 Running track can be designed to fit any playground area and priced to suite. 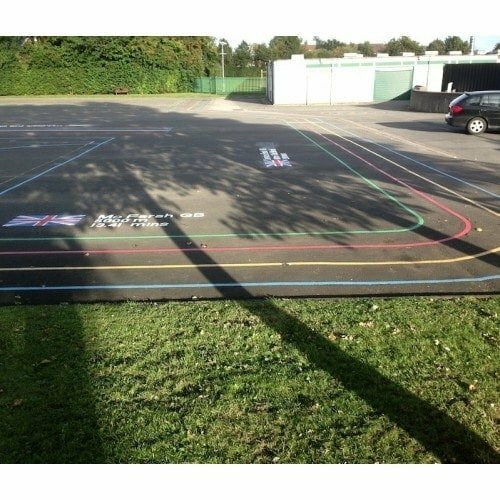 The example shown is 50m per circuit and the cost per metre for a three lane track is £15/m. 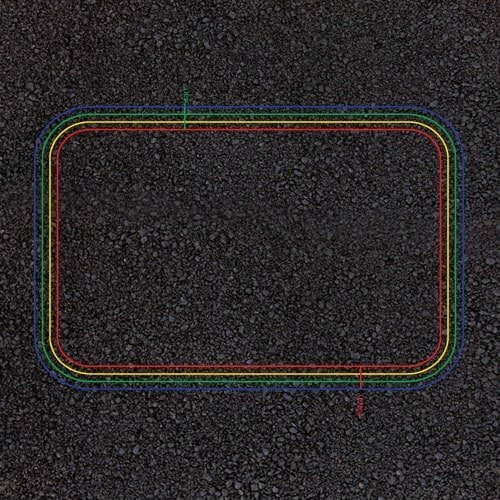 The circuit comes with a start and finish lines. 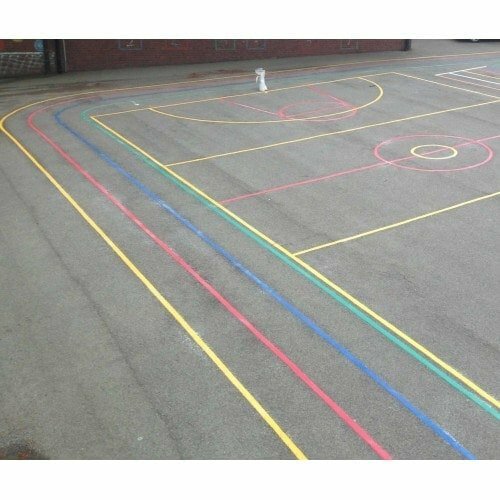 The track can be designed to go around any playground size or shape.